I had an interesting chat with Elda to learn why and how she became involved in the Singapore Mini Maker Faire. During the chat, she returned several times to the point that making should be a way to solve a problem, so that it is purposeful. She attributed her belief to the Mexico culture in which she was brought up in, where people are creative in coming up with solutions to problems. 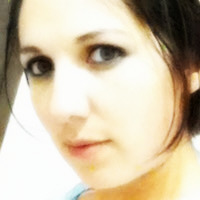 To Elda, making is actually a way to care for others. I thought that is a nice perspective and it gives a different meaning to the act of making. Have you also made something because it is needed by somebody else? Are you also motivated in the same manner to make things? How can you make things to improve the lives of others? Elda made me think deeper into this. Elda became involved in the Singapore Mini Maker Faire since its inauguration two years back. Searching online on 3D printing stuffs then, she found a link to our website. She signed up as a volunteer for two years and it is exciting that she will be conducting her first workshops on design thinking this year. Speaking with Elda, I learnt that she had her fair share of hesitation about the sharing, hence the delay in coming forth to conduct workshops for our event. This hesitation is definitely not an act of selfishness but a lack of confidence. But confidence can be built up with encouragement, and she felt that everybody need someone to assure them that they are doing well. During our conversation, we chatted about how common this thinking is amongst some makers, and how she wanted to help people build confidence by introducing a set of design thinking steps which could serve as some form of guide. First, she wanted to break the barrier of the mind, and show that everybody have the potential to be a designer. This is something she would like to achieve with her workshops. Elda is of view that the momentum for the Maker Movement in Singapore has been built up and should continue to roll, and it is still important to build greater awareness as there are still many people who are not familiar and receptive to the idea of making. On her own, she has plans to continue her workshops so that she can continue to inspire people to make and design solutions to problems. It is really cool to know she has such plans! Interested to attend Elda’s Design Thinking workshops on 26 July, 1.00pm – 2.30pm or 27 July, 10am – 11.30am at the Senja-Cashew CC? Simply email the.curious.design.network@gmail.com for registration details. Did you notice a group of students showcasing their arduino-related projects at last year’s Singapore Mini Maker Faire? There was an Android phone-controlled RC Car running around right in front of it and there was an interesting “Home Automation using Smartphone” project. The same group from the Arduino Club of ITE College East, led by Mr Arthur Pedida, will be participating at this year’s Faire again, but this time, they will be showcasing new hardware electronic projects using Microcontroller such as PIC and Arduino, and different types of “Mobile Robot” which could be controlled using Smartphones and Personal Computers via the Internet. Mr Pedida shared that it was exciting and eye-opening for his team to meet other Makers showcasing their projects, thus allowing them to broaden their ideas in building new projects. It was also a fun experience for them to interact with other Makers and members of public, especially the challenges that they experienced from planning to construction to testing. Discussing challenges is something that Mr Pedida has highlighted as sometimes visitors can help the team discover solutions during the process of the sharing. Hence, Mr Pedida felt that this should be encouraged. ITE College East Arduino Club President, Nurul Jannah Bte Mohamed will be leading her club members at their booth, together with Mr Pedida. He shared with us that Jannah is currently a 2 nd year Student of Nitec in Electronics specialized in Mobile Devices and she is actively involved in Arduino as her CCA. She also participated with her group at the “Assistive, Rehabilitative & Therapeutic Technology” competition jointly organised by the Singapore Therapeutic, Assistive and Rehabilitation Technologies Centre and the Centre for Enabled Learning in March this year, receiving a Merit Award for their project. Jannah will be showcasing her project which helps elders with disability to control their appliances without the need of touching any switches. Interested to speak with Mr Pedida and Jannah regarding their projects and challenges they faced? Check out their booth at the Singapore Mini Maker Faire at Senja-Cashew CC on 26 & 27 July! I had an interesting chat with Pooja on the afternoon before she went back to New York for her break. Although Pooja ran a workshop on concertina-spine binding last year at the Singapore Mini Maker Faire 2013, I had no chance to meet up with her and speak with her. I had written a blog post then to introduce her based on some email exchanges, so this time round, I was glad to be able to arrange a chit-chat session. Pooja offered to use a co-working space she has reserved. It is called Grey Projects and the location was at Kim Tian, Tiong Bahru. It is a nice quiet place and it also happened to be the day before an exhibition of self-published books that the Grey Projects has planned. So, thanks to Pooja, I had a quick glimpse of this interesting exhibition’s behind-the-scene preparation! As it is Pooja’s third-year experience at the Singapore Mini Maker Faire (she was a visitor in the first year! ), I was rather interested to find out her view of the maker movement here in Singapore. Compared to when Pooja first came to Singapore, she felt that the maker movement here had became more organised. She observes more ground-up efforts, more meet-up sessions, more people trying their hands on DIY stuff. She remarked that it is a dramatic development. When asked whether there is any community that she thinks we can still reach out to, Pooja gave an interesting reply. Instead of highlighting a hobby group (which I was expecting), Pooja replied that we should look into programmes that can reach the senior citizens and the National Servicemen, based on her own observation at the classes she conducts for the National Arts Council (NAC). She elaborated that these two communities seem to have a lot of interest to pick up new skills. So, for makers out there, keep a look out for chances to reach out to these two communities! Pooja will run a workshop to create a cloth-covered portfolio for holding stationery, drawings, photographs and so forth, using luscious book cloth and beautiful Japanese Chiyogami papers. Her workshop will be held on 27 July, Sunday, 2.45pm – 4.15pm at the Singapore Mini Maker Faire at Senja-Cashew CC and you can find the registration site here. Besides conducting a workshop, Pooja is also participating in this year’s Maker Faire in two different ways. In three weeks’ time, Pooja will be part of the SMMF2014: Bookbinding Day where she joins Ian Tan, Mariko Watanabe and S T Leng in a series of bookbinding workshops to teach different bookbinding projects. Pooja will also be embarking on an exciting project for all visitors of the Singapore Mini Maker Faire, where everyone gets a chance to participate and create a “folded element” of a collaborative-sculpture book object. On the first day of the Faire, Pooja will be personally guiding interested visitors on the project from the opening of the event until 1pm. She will also be around on Sunday, both to conduct her bookbinding workshop from 2.45pm to 4.15pm and to conclude her collaborative project towards the end of the event. 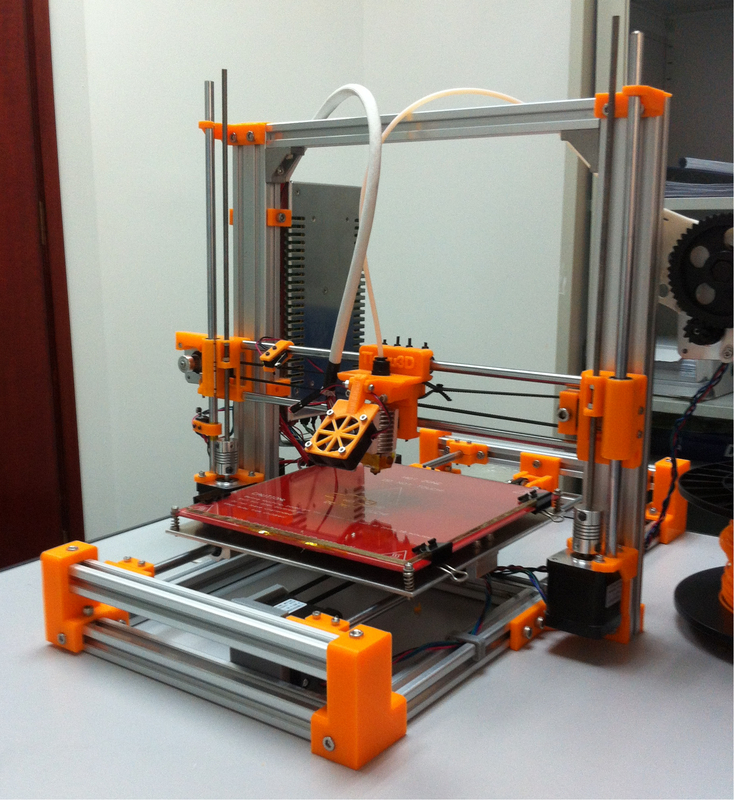 It’ll be another exciting component of this year’s Singapore Mini Maker Faire. If you are not able to drop by when Pooja is around, do not worry as we will also have volunteers who will help to guide you. Do come join us and have some fun creating! Want to know what other things Pooja do? You can check out her blog here. Flowers and leaves come in myriads of colours, shapes and sizes. They are gifts from Nature. One way to preserve them is to use a plant press. It is a simple but very effective tool. Come and join us in this workshop, and you would learn not only how to align pieces of wood and drill holes but also how to press, dry and mount specimens. You would also pick up tips on leaf rubbing. Participants will get to bring back their very own plant press. 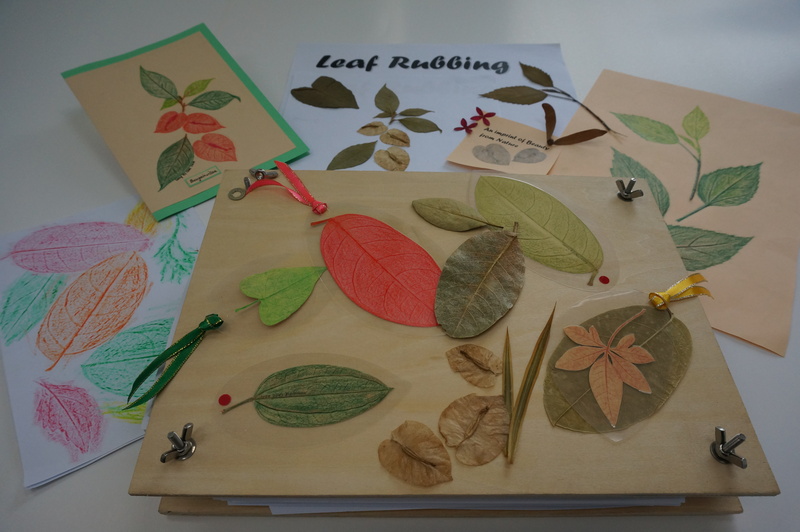 In addition, a set of colour cards will be given to each participant, for them to further explore the art of leaf rubbing at home. Cost: $30/ paticipant – inclusive of all materials. The above is an introduction from Mr Takasu Masakazu on teamLab (Japan), an ultra-technologists group made up of specialists from various fields (programmers, hardware engineers, user interface engineers, mathematicians, architects, graphic designers, artists, editors, etc). Designated as “Technical evangelist”, Mr Takasu shared with us his interest in both technology and art in both the eastern and western society. He also shared that at teamLab, it is believed that the Japanese society might still be perceiving the world differently from people from other countries, due to the late influx of western culture influence in Japan after the late Edo period. Hence, the people at teamLab are interested to examine how different technology are being perceived differently both in and out of Japan, and create works through “experimentation and innovation”, making the borders between science, technology, art and design more ambiguous, making reference to the case of wearable technology, i.e.g Google glass and Necomimi, the brainwave cat ears. Can you imagine drawing a fish and turning it into a virtual and interactive fish that swims in a giant virtual aquarium? Do you want to throw a digital Christmas tree from your phone to a gigantic Crystal Tree of Wishes? Watch the videos and be amazed at the beauty made possible with technology by teamLab. At the Singapore Mini Maker Faire, Mr Takasu will present about Nico-Tech, a Japanese society enthusiastic about technology, and also demonstrate interesting presentation techniques used in Japan. He will also share more on Nico Nico Gakkai Beta which is a “Science Society”. If you are interested to learn more about teamLab and the amazing stuffs that they do, watch out for more details of Mr Takasu’s presentation on our website and also check out the teamLab website. You may also get in touch with Mr Takasu via his Twitter, Facebook or Linked in accounts. Most of us spend a lot of time in front of the computer each day, and find little time for any other matters. Ong Sze Sze, our clay art Maker for Singapore Mini Maker Faire 2014, shared that while she is not stuck by the screen, she enjoys making little toys or going outdoors for a stroll or to cycle. She also enjoys thinking of new craft projects to embark on. Sze Sze shared that she started her love for clay figurines when she was in Primary 4, when she first saw a paperclay flowerpot at her friend’s place. She was astounded that it was handmade and henceforth opened up her mind about making her own toys, something particularly exciting for her since she was not allowed to buy a lot of toys as a child. She was further elated to find out that she can have plenty of fun making a lot of things with just 500gm of clay at only $2! It is a hobby that stuck with her until now even though the price of the clay has doubled since then. Sze Sze found out about the Singapore Mini Maker Faire online, through the main Maker Faire website. She attended last year’s event at SCAPE although she regretted having insufficient time to check out everything. With her limited time, she managed to check out several 3D printing and arduino-related booths. While she found them interesting, she thought they can also engage audience by printing items to tell a story or game pieces for a game, so that visitors can imagine more. 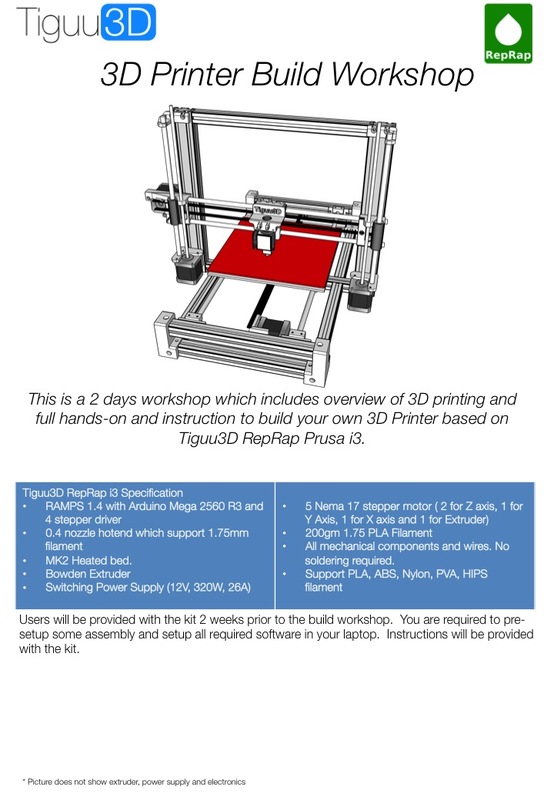 It is a good idea and I think some of our friends doing the 3D printing are already doing something like this! Hopefully Sze Sze will get the opportunity to meet them. Sze Sze will be showcasing the Xmas Kids series, some animals and customised Lego figurines. She is also working on more figurines to be showcased at the Faire at Senja-Cashew CC as many of her previous makes were either sold or given away. 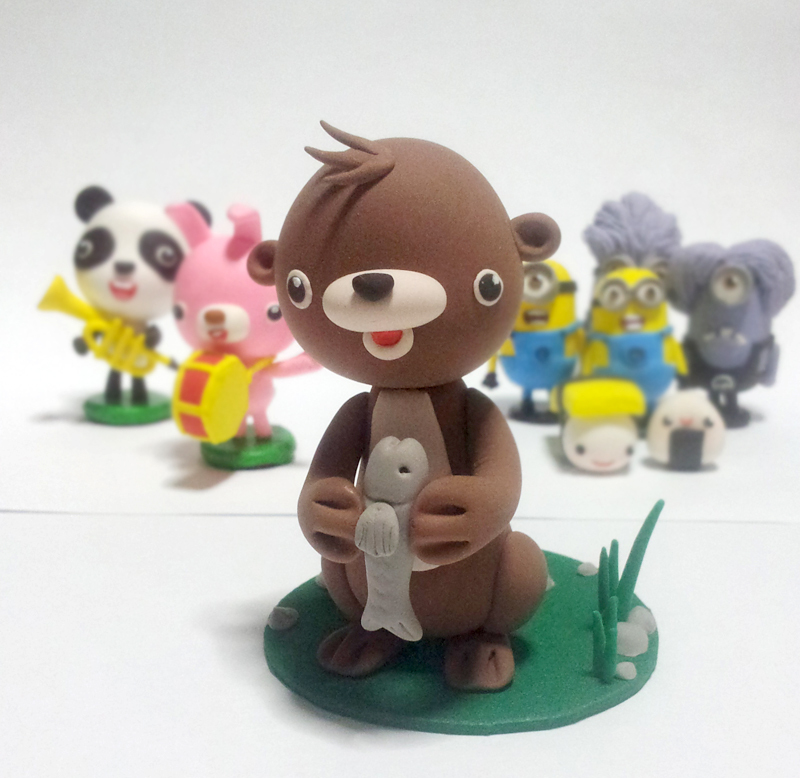 Besides showcasing some of her makes, Sze Sze will also be conducting “Otterly Fun with Clay”, a 90-minute workshop on both days of the Singapore Mini Maker Faire to make your own clay pet otter. The workshop places would be limited and it would be a perfect opportunity for you to get hands-on with clay crafting! When asked about her thoughts about the maker movement here, she is hopeful that it would one day grow to be as big scale as the original Bay Area Maker Faire, making crazy things on huge scale, such as a giant Rube Goldberg machine! To find out more about Sze Sze’s clay work, check out her blog at sswoss.blogspot.com. Find out more about her class at the Singapore Mini Maker Faire here!